Constantine ‘Con’ Slobodchikoff is an animal behaviorist and conservation biologist. He is a professor at Northern Arizona University where he studies referential communication, using prairie dogs (Cynomys gunnisoni) as a model species. Much of his recent research has shown a complex communicative ability of the Gunnison prairie dog alarm calls. In early 2008 he formed the Animal language Institute to create a place where people can find and share research in animal communication. 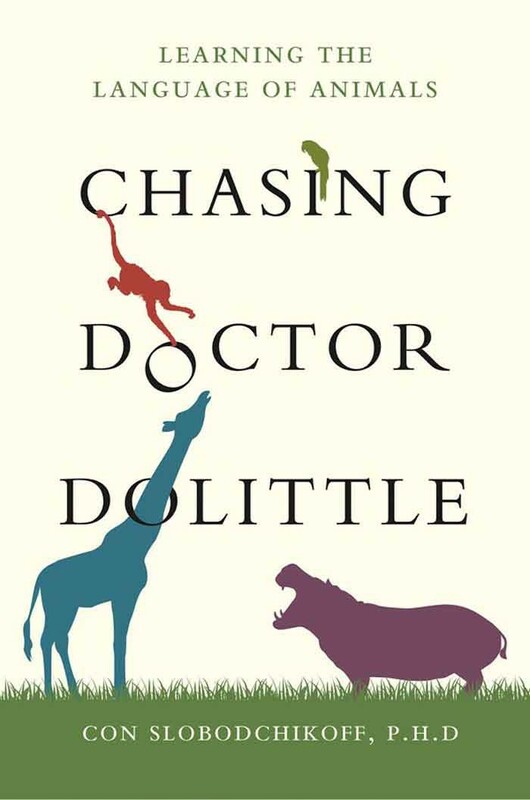 In his recent book Chasing Doctor Dolittle Slobodchikoff argues that animal language is more than a dream. Slobodchikoff’s studies of the communication system of prairie dogs over twenty-five years have attracted a considerable amount of attention from the media, including a one-hour documentary on his work produced by BBC and Animal Planet. In Chasing Doctor Dolittle, he posits that the difference is one of degree, not the vast intellectual chasm that philosophers have talked about for millennia. Filled with meticulous research, vivid examples and daring conclusions, this book will challenge the reader’s assumptions and open up new possibilities of understanding our fellow creatures. This entry was tagged academic, book, literature, research, science.